Josh Smee looks at the vacant spaces in St. John's and sees opportunity, whether it's a character-filled structure, or a dumpy teardown. 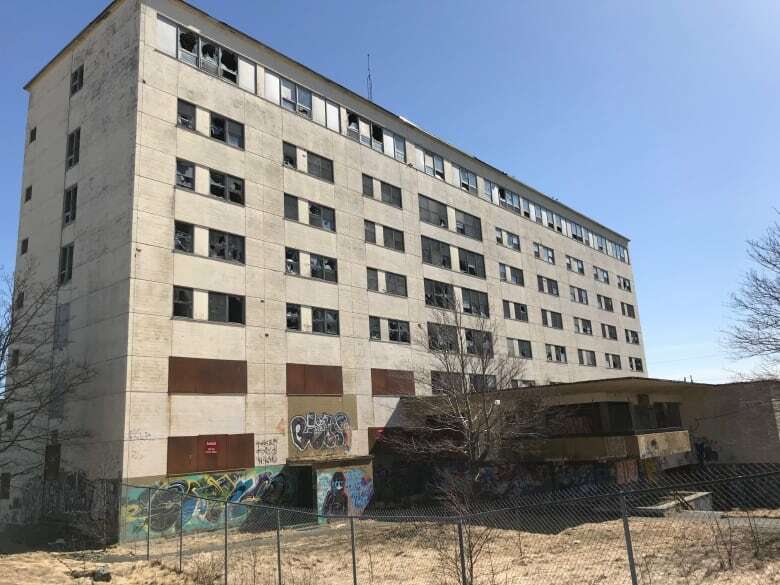 Josh Smee looks at the vacant spaces in St. John's and sees opportunity, whether it's a character-filled structure, an empty lot or a dumpy teardown. Smee, a volunteer with Happy City St. John's, led a walk Sunday afternoon through the "most eligible" vacancies in the city. Starting at the former Grace Hospital site, the tour also included the art deco-style buildings on LeMarchant Road, and finished with the west end of Water Street. "I always love hearing people's dreams and visions for what can happen with these spaces," he said. "A big thing Happy City has done over the years is just ask people, what do you want your city to be like? Does this want to be a place to live? Or a new school, or court? What do people want to see happen in their city? I think that's why these vacant space walks are fun." The intent was to highlight some of the areas marked for intensification by the city — areas that could see more a diverse mix of houses, offices, stores, public spaces and art. The event was part of Jane's Walks — a series of informative walks through towns and cities across North America in honour of Jane Jacobs. Jacobs was an American-Canadian activist who influenced urban planning, and played a key role in preserving historic places in New York City and Toronto. Other walks in St. John's included a tour of Churchill Park — possibly the first subdivision in North America designed for a modern life with cars — and a tour of the pedestrian pathways of St. John's in centuries gone by. Starting the vacancies walk at the Grace Hospital was an obvious choice, Smee said, as it is the largest unused space in the city. The land is owned by the province, and has been sitting dormant for 18 years with one large building left to tear down. There have been rumoured plans for the lot over the years, including the construction of a new courthouse, but nothing has ever come to fruition — much to the chagrin of some local residents. Happy City St. John's, a non-profit group aimed at creating civic dialogue, is looking for more people to lead walks through parts of the city they find interesting next year. Smee was delighted to see about 40 people showed up to tour the vacant spaces. "We know this city has so many stories to tell, so it's nice to see people turn out."